After your free introduction your advisor may request to start charging you. Remember, that with the BitWine platform, your payment goes directly to the advisor (not to BitWine). However, it is not allowed to pay the advisor for their services in any other way (such as directly via PayPal, by sending check or cash, etc). All transactions must be done through the system as described below. Bypassing the system is not only violating the legal Terms of Service, but is also riskier for you. It’s like paying “under the table” without any proof of purchase. If an advisor asks you to pay them off-system, please refuse and report to us. Each advisor has a per-minute price that can be seen on their profile page. In addition, the advisor may offer you to pay a one-time payment instead of paying by the minute. It is safer to pay by the minute, especially if you don’t know the advisor well, as you will only be paying for minutes used and can stop the charge at any time. Make sure to tell your advisor which charging mechanism you prefer. In this example we will assume the request was for a per-minute charge, although the process is very similar for fixed payments. This is not a charge yet. 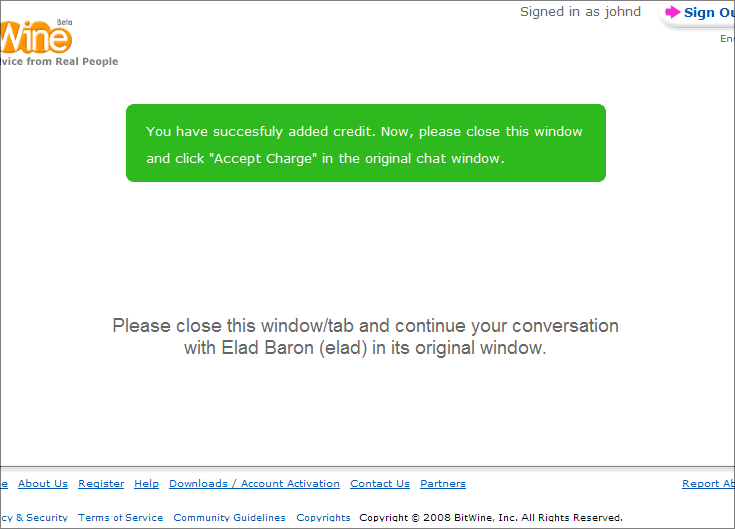 Here you are asked to enter a credit limit for the call. The system will authorize the amount and then you will be able to use that money to pay your advisor during the session. 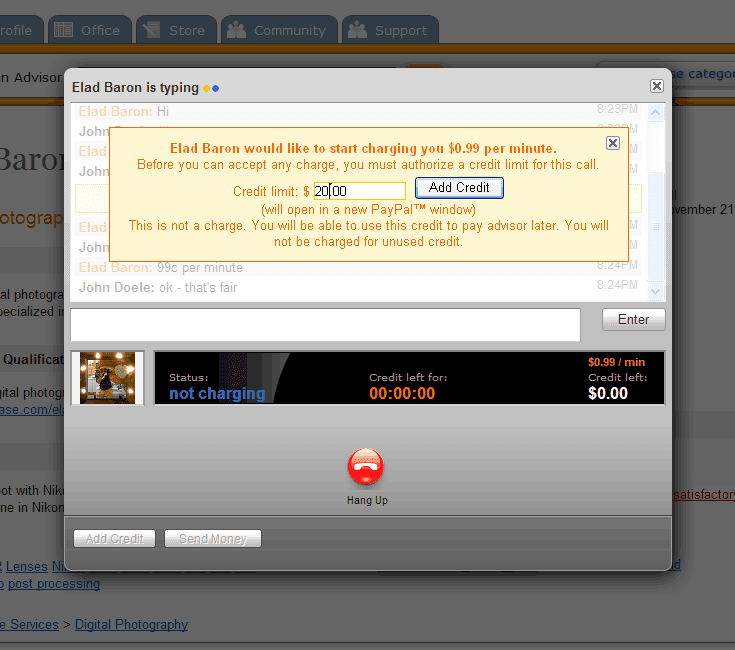 Choose an amount you think will be sufficient for the call (if needed, you will be able to add more credit later) and click the “Add Credit” button. 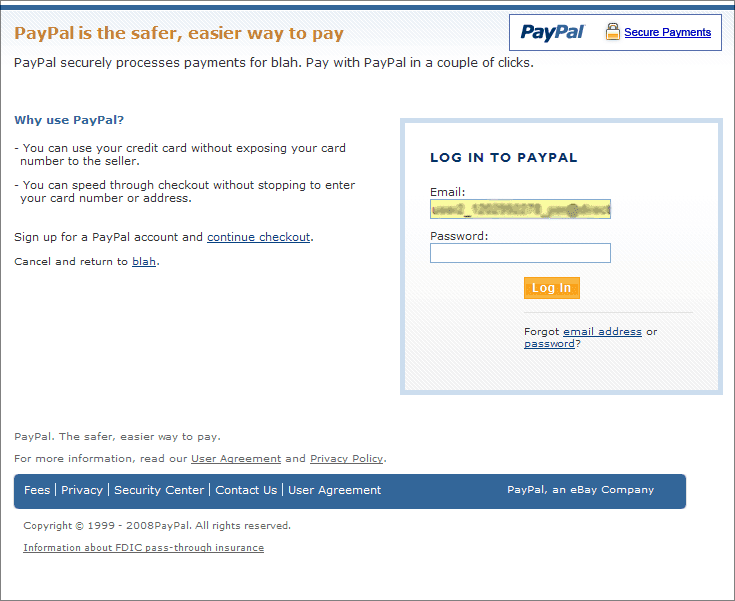 Sign in to your PayPal account. 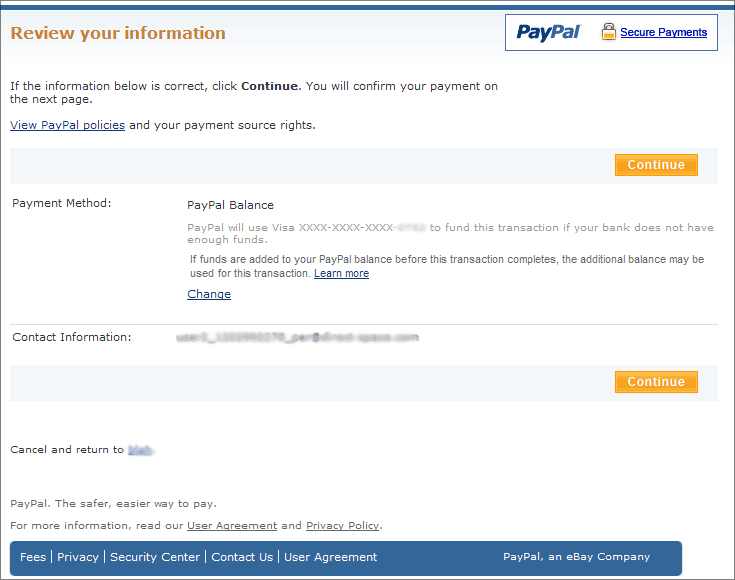 If you do not have a PayPal account you will see a different form requesting payment details (e.g. credit card number) and a new PayPal account will quickly be created for you to save you from typing this information in the future. 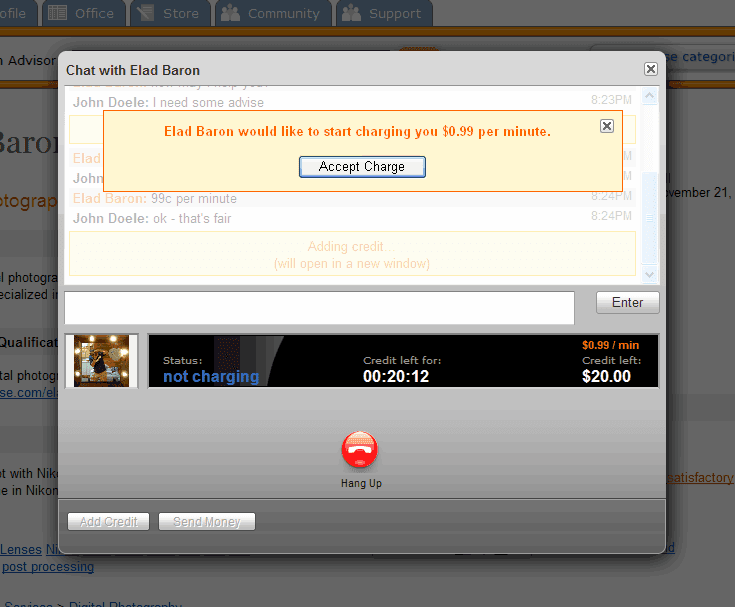 Make sure you agree to the price per minute quoted, and click “Accept Charge” to start the paid session. You can now continue the session with your advisor. On the black bar you will see a countdown of the time and money remaining. You can always add more credit by clicking the “Add Credit” button. If you run out of credit and would like to continue the session, your advisor may ask that you add more credit. You only pay for the used credit. Unused credit is not charged. 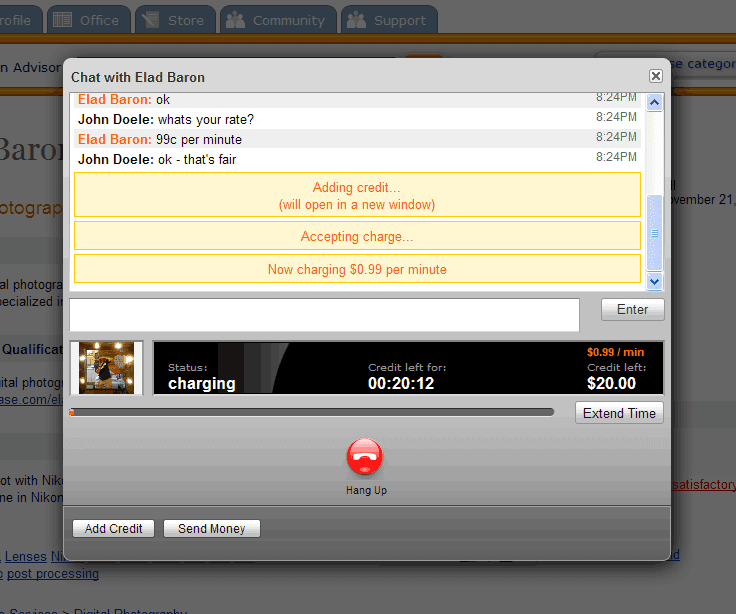 You can always ask your advisor to stop the charging, or you can just click the “Hang Up” button to stop the charge immediately (that will also hang up the session).